Omni Cable 16/2 Plenum rated lighting control cable has clear fluorinated ethylene propylene jacket to withstand harsh environmental conditions. Fluorinated ethylene propylene insulation resists electrical leakage and offers protection against environmental threats. 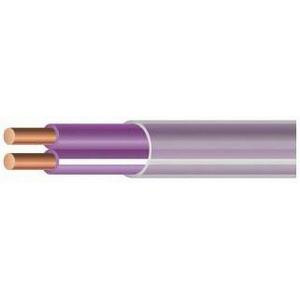 This 0.173-Inch Dia bare copper cable has voltage rating of 300-Volts. It withstands temperature rating of 200 deg C. Cable is ideal for lighting control and building management systems. Cable is UL and RoHS compliant.